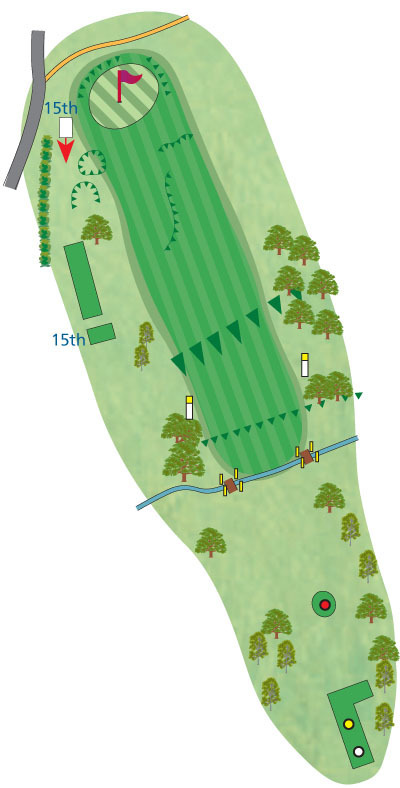 The same ditch that crossed the 10 th hole crosses the 14th. Once again, it is often not possible to see if your ball, particularly from tee shots, has entered the ditch. 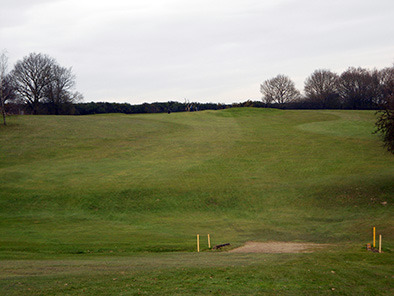 If you cannot find your ball after your tee shot, you may think it has entered the ditch and wish to take a penalty drop from the edge of the ditch on that assumption. In this case, however, the approach to this ditch is mostly rough. The ball could easily be lost in this rough. You cannot, therefore, be ‘virtually certain’ the ball has entered the ditch (rule 26-1). You must return to the point you hit your ball from and play your next shot from there. If this is the tee, this will be shot three (rule 20-5).